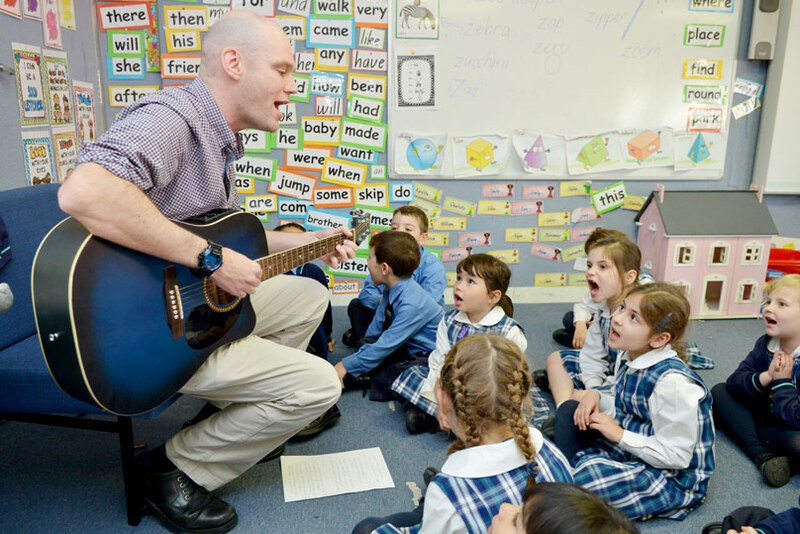 A dyslexic teacher from Sydney’s south has taken the world by storm, attracting more than three million views to his YouTube channel inspiring a generation of children to embrace learning through music. Known as Rocking Dan the Teaching Man, Dan Colquhoun, 44, has risen to international fame with his catchy teaching lessons set to rock and roll music. The St Declan’s teacher’s YouTube channel has now received more than 3.35 million hits and his first animation viewed in more than 100 countries. He has also been named in the top 25 children’s music blogs and websites to follow in 2018. The unlikely music sensation writes and records his songs to help children succeed with learning numeracy, social and literacy skills. “I struggled at school because I’m dyslexic, which meant I had trouble blending, segmenting and manipulating individual sounds and this results in difficulties with reading and writing,” he said. Even more extraordinary, Dan is self-taught and can only play a couple of chords. He is a firm believer that music and movement helps with oral language development, vocabulary, co-ordination, gross motor skills, maths, rhythm, rhyme and self-regulation. It also helps children learn and retain concepts more readily as it opens up multiple pathways to the brain. 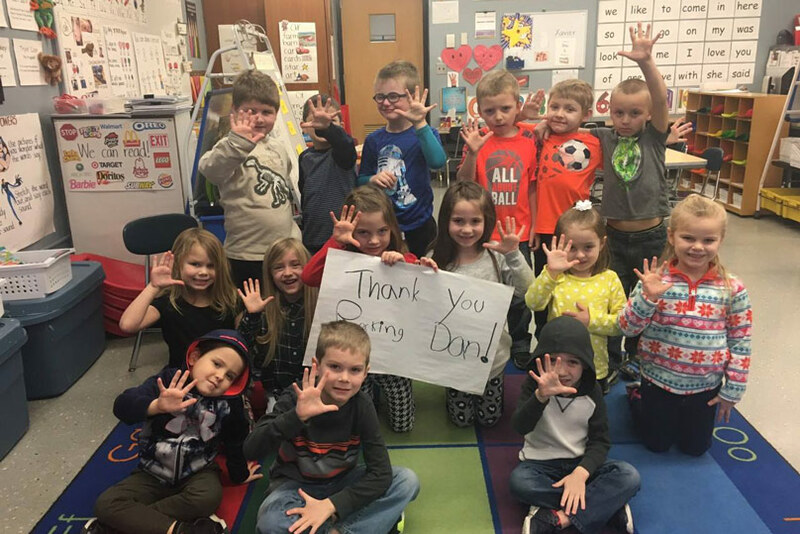 “I struggled to learn in a conventional way so I tried to find a way to help all children learn concepts they might have difficulty understanding,” he said. Australian Catholic University’s Acting Executive Dean of the Faculty of Education & Arts, Professor Elizabeth Labone, commended the ACU graduate for his dedication to teaching. “Dan Colquhoun’s creative approach to excellence in primary school education is nothing short of outstanding, and demonstrates how highly-skilled teachers engage learners,” she said. “He is an incredible asset – not only to his employer – but also to a global movement in pursuit of 21st century teaching excellence”. And it’s not just the students at St Declan’s who have responded to his musical teaching methods, parents and fellow teachers have overwhelmingly given him their seal of approval. “The feedback not just at St Declan’s but around the world has been incredible,” he said. Check him out at Rocking Dan, Teaching Man.